This example is a very early Arsenal programme which was produced by the prodigious and very popular late Victorian writer of verse. 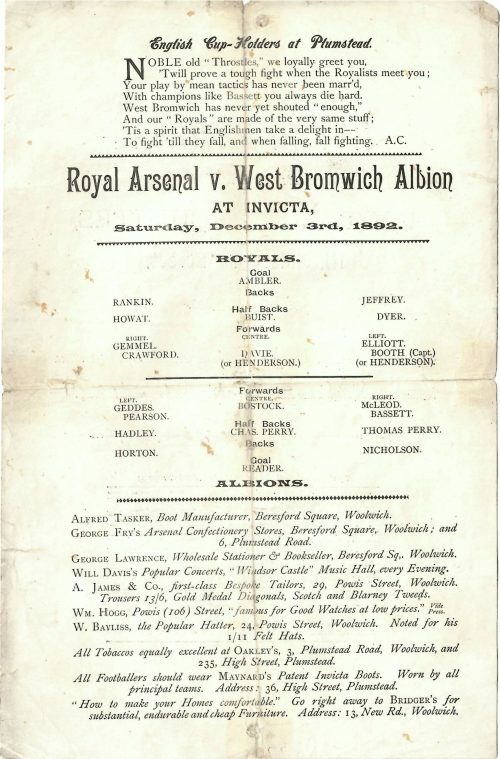 Programmes were noted as being sold in an Arsenal match for the first time at the friendly between Royal Arsenal and the ‘Caledonians & Clapton’ on 3 May 1890. These were produced, written and sold by Albert Craig, AKA the Surrey Poet; the initiator of Arsenal programme writing. “even Craig “The Surrey Poet” well known at these meetings, announced that he would give the receipts for his programmes and verses to the charity fund, and as his poems included two on “the Rare Old Reds” he had a tremendous sale”. The inference from the passage being “Craig the Surrey poet’s” programmes had been seen earlier in the season. Unfortunately, the report does not say when he began, though earlier in the season on 21 March 1890 it was reported that the Surrey Poet had gone to watch Rugby rather than sell his programmes at Arsenal which again suggests he had been selling earlier. It is probable that he would have been seen from the start of 1890 when the team were beginning to be talked of and seen as a quality football outfit, as Albert Craig had an eye for the opportunity to sell his remarkably popular rhymes and programmes. An amazing statement seeing as Arsenal had not travelled further than Norwich when they played Thorpe in the early rounds of the FA cup. Albert Craig, was born in Yorkshire in 7 September 1849, and signed his poems in the programmes with the initials AC. Craig was a well known cricket supporting entertainer who had been selling his poems to the Surrey CC crowd for years beforehand, which was how he obtained his nickname. He was immensely popular in the cricketing world and he become almost as famous as WG Grace, simply by selling his printed rhymes at a penny a sheet. With his natural wit and spontaneous repartee, he was an integral part of the day’s entertainment on many cricket grounds in the summer, and in the winter months he frequented Royal Arsenal FC and later Woolwich Arsenal selling his programmes and adding to the excitement of the occasion. 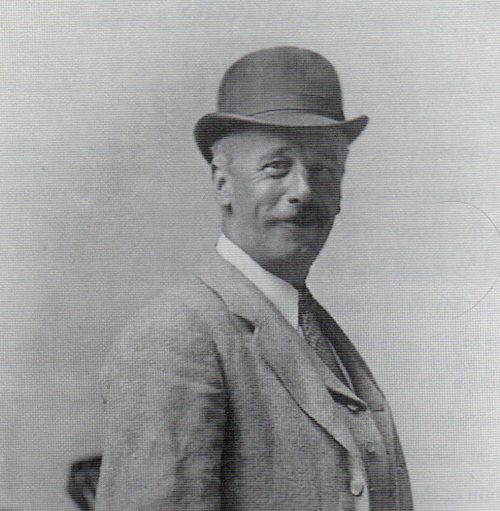 Almost all programmes sold at Arsenal home games until 1896 were written and produced by him. On good days he reputedly took as much as £14 in a day, which was approximately what a skilled man in the Arsenal Ordnance would make in a month! His monopoly was threatened in late 1890 and 1891 as the Royal Arsenal Committee had decided to divide the sale of programmes between Albert Craig and Cromwell House, a local Orphans home for working boys. This competition did not last too long as Craig’s experience won out, and you may be interested to know there are surviving programmes of both the AC and Cromwell House varieties from this period. Craig’s Rhyme from the Royal Arsenal programme against South Shore on 1 November 1890. South Shore was later to merge with Blackpool. And who dare declare that the Royals are not! Renamed for his football audience the “Arsenal Poet” he was seen at Arsenal until 1896, after which he moved away from Woolwich. 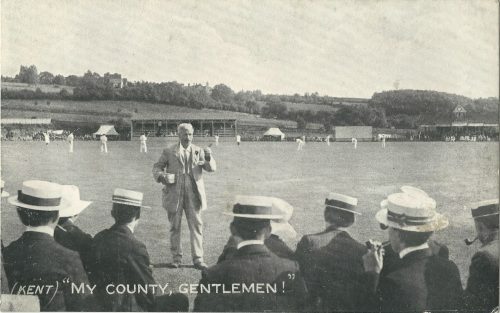 He was seen predominantly again at cricket grounds in Kent, Sussex and Surrey, and after 1905 appeared in the large crowds of Chelsea still selling his rhymes. It appears he was far more popular in London than the North. Unfortunately for Albert Craig a number of failed business ventures ensured that all profit he made selling his programmes was siphoned off elsewhere. In early 1909 he became ill, his welfare was of such concern to the Prince of Wales that he wrote to him while bedridden, but Royal letters were not enough and he died on 8 July 1909. The Sportsman raised £200 for his widow when it became apparent that Albert despite his earnings had left her with no money. (2) From the back page of the “Captain of the Crowd, Albert Craig, Cricket and Football Rhymester 1849-1909” by Tony Laughton. The season past we were asked to write a regular page in the official Arsenal magazine based on a historical object related to the Club. Magazine and Programme editor Andy Exley has kindly given us permission to reproduce the match reports on our blog. We will also be including additional material that didn’t make the final edit of the magzine. In the 1960,s I can remember ” pirate ” programmes that were sold around Highbury sometimes being replicas of the real thing . Have you ever researched this ? When you think you know a bit about our great club you come across characters like Albert Craig who I had never heard of.